As all of my readers know, a few years ago I declared war on aging. I do not plan on growing old gracefully. I am going to fight it every step of the way. I look for products to make my fight a little easier, and share my thoughts and opinions with all of you. 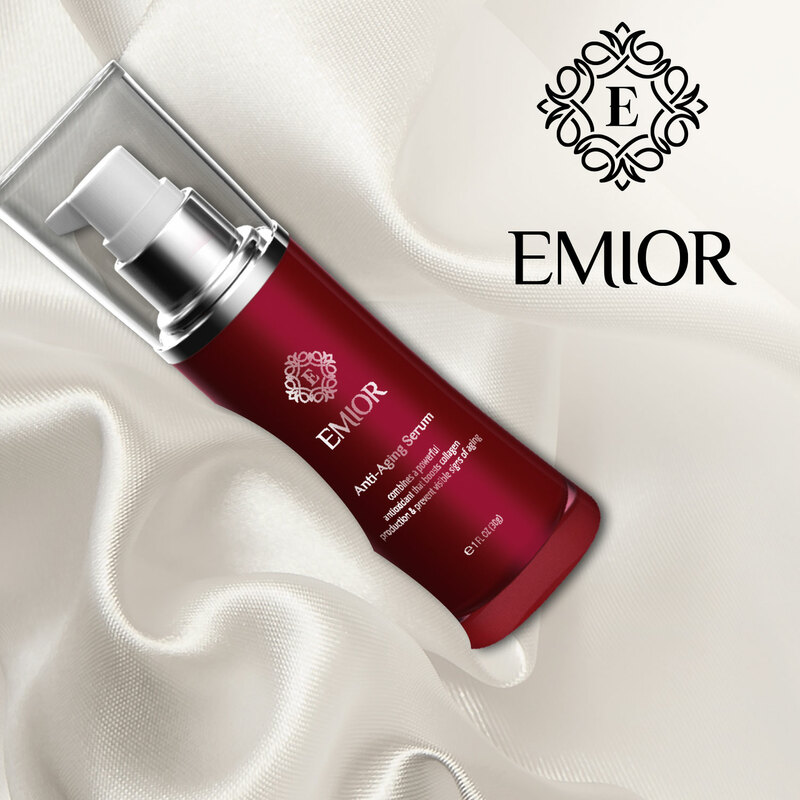 I am really excited to share the EMIOR 4Step Anti-Aging Routine with my readers. 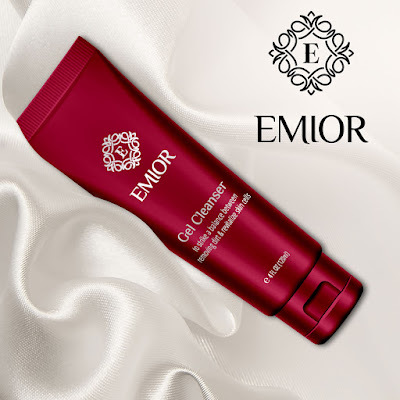 Step #1 is EMIOR Gel Cleanser. This gel cleanser not only cleans away makeup, excess oil, impurities, without stripping your skin of it's essential moisture. It restores your skin's natural glow and leaves your skin looking refreshes and balanced. Formulated with highly effective ingredients that balance between cleaning your skin of all daily impurities and nourishing your skin. This gel contains Aloe Barbadensis juice which is extracted from the leaves of the plant and contain 20 minerals, 20 amino acids, 12 vitamins, and several active enzymes. The effective juice can soothe the skin and act as a powerful anti-inflammatory. Aloe Barbadensis juice combined with Pyrus Malus (Apple) fruit extracts and Glycerin and several other potent skin care ingredients this cleansing gel not only cleans your skin, it tones and softens your skin for healthy radiant glow. 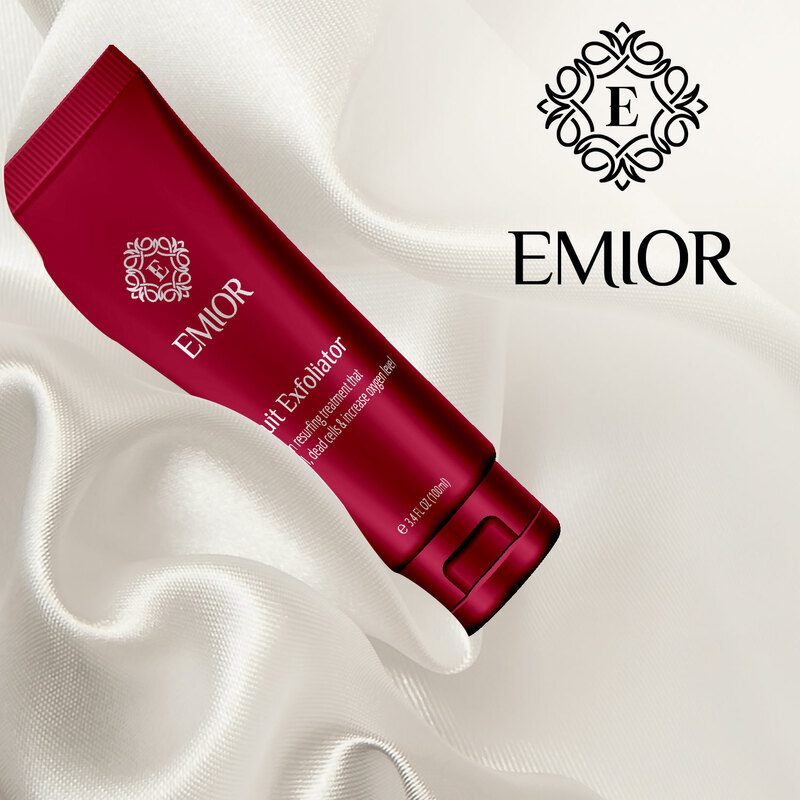 Step # 2 EMIOR Fruit Exfoliator. This is a step that I am guilty of skipping in the past, not realizing just how important it is,in the battle againt aging. I was cleaning my skin, and moisturizing. Exfoliating removes dead cells from the pores appear smaller. Removing dead cells from the surface of your skin reveals fresh skin cells and allows your skin care products to penetrate more deeply into the skin to work their wonders. 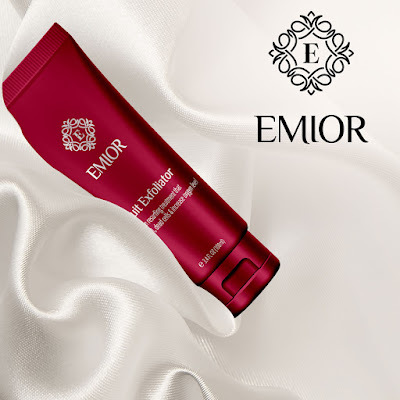 This exfoliator combines Hydrogenated Jojoba Oil, Pyrus Malus (Apple) Fruit Extract, Olea Europaea (Olive) Fruit Unsaponifiables, Barley Extract, Sunflower Seed Oil, Pumpkin Fruit Ferment Filtrate, Grapefruit Peel Oil, Sandalwood Extract, Radish Root Ferment Filtrate, and other skin nourishing ingredients. This exfoliator not only clears the skin of dead skin cells and debis but increases the oxygen level, restoring a healthy glow. Step # 3 EMIOR Anti-Aging Serum. This serum combines 4 powerful anti-aging agents along with Snow Algea, a naturally self-sustaining extremophile specie to rejuvenate your skin and eliminate major signs of aging. In just a matter of a few weeks you will notice a radical improvement in the appearance of your skin. This serum penetrates deep into the dermis to nourish and regenerate your skin. This serum does so many wonderful things for your skin. It not only nourishes your skin but it protects it from harmful UV rays and other environmental factors the speed up the aging process. It also reduces dark spots and age spots and evens skin tone. It evens out wrinkles ,smoothes and hydrates skin. Helps your skin appear brighter and stimulates growth on a cellular level. 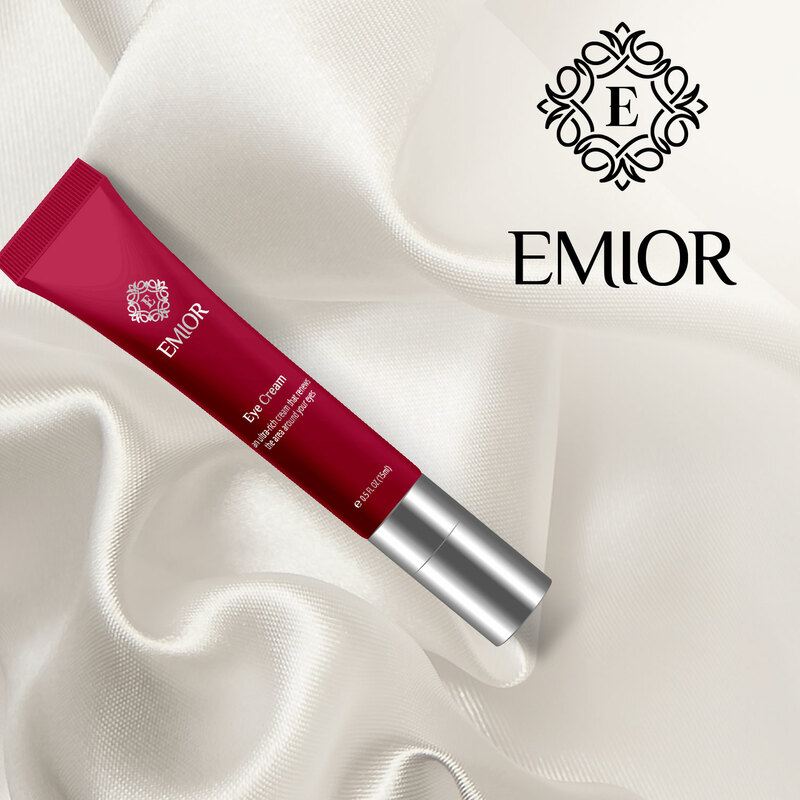 Step # 4 EMIOR Eye Cream. My eyes are the first place that I noticed wrinkles, crow's feet. The eye area is a dead give away to tell your age. The skin in the eye area is thinner and fragile. Wrinkles make you look tired and old. BLAH!! Wrinkles around your eyes can be caused from squinting, sun damage or just plain getting older. With proper care and a good eye cream you can address all of the problems in the eye area. EMIOR Eye Cream contains Jojoba Esters with Pheonix Dactylifera (Date) Seed Extract, Cocos Nucifera (Coconut) Oil, Poria Cocos Extract, and Rhodiola Rosea Root Extract. This formulation promotes collagen production and boosts antioxidants to prevent free radical damage to the skin and reduce discoloration. These 4 simple but very effective steps can make a big difference in your appearance but also in the way your feel about your appearance. I am so pleased to be able to share my experience and thoughts about this skin care system with all of you. I received these products to facilitate this review. All opinions are my own.